With recent announcements concerning the release of a new iPhone and mobile Apple operating system, app developers are scrambling to come up with apps to take full advantage of the advanced hardware. 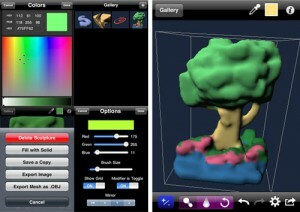 For many, 3D is what these new mobile platforms are going to be all about. You’ll probably need a fast mobile broadband connection to get the best results. This is great news for professional designers, teachers, and artists around the world as they have the ability to download world-class, 3D art apps with a single tap of the screen. Here are three of the top iPhone apps for 3D animation that are shattering what was thought possible on a mobile device. Creating a 3D environment on a 2 dimensional surface is a challenging task, but one that the creators of SculptMaster 3D were up to. Created by Volutopia, Sculptmaster is a simple art program that utilizes basic shapes, shades, and textures to create a virtual sculpture. The 3D effect comes from various mesh shapes and wire backgrounds. Along with simple shading techniques, this gives the sculptures impressive depth and size. This app is extraordinarily easy to pick up with basic controls that are a throwback to the original painting programs found on computers. Volutopia has also adopted many of the iPhone’s unique features such as the gyroscope and multi-touch properties to further enhance the experience.When using this application outdoors to get inspired, it’s recommended that you go through some examples on your Google search engine using your mobile broadband connection. Occasionally, apps are designed to have no purpose outside of being a stunning piece of art. 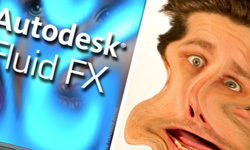 This was the goal of Fluid FX, developed by the entertainment group Autodesk. 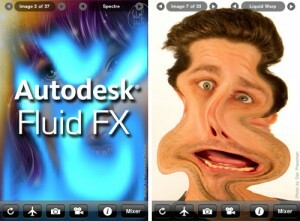 The free version offers simple 3D ‘fluid’ textures which come alive during any movement of the iPhone. The phone’s sensors pick up small variations as the fluid on the screen reacts accordingly. This award winning app originally came with nothing outside of the mesmerizing 3D fluid mechanics. You have the advantage of finding YouTube tutorials using a good mobile broadband connection. Fluid FX now offers multiple crossover applications such as amazing photograph effects, a video-out to display the art on a larger screen, and options to manipulate smoke and fire as well as the fluid.